Part Used & Method for Pharmaceutical Preparations: The ripe seeds are collected from August to September. The seeds are shelled, dried in the sun and pounded into pieces. 1. Chronic diarrhea due to deficiency of the spleen. 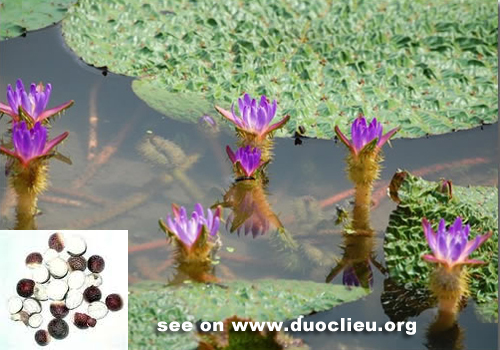 Euryale seed (Qianshi) is used with White atractylodes (Baizhu) and Dioscorea (Shanyao). 2. Seminal emissions or leukorrhea. Euryale seed (Qianshi) is used with Flattened milkvetch seed (Shayuanzi) and Cherokee rose hips (Jinyingzi).